HGS Technologies, as part of Mobile software application development, we develop apps for small low-power handheld devices such as personal digital assistants, enterprise digital assistants or mobile phones. 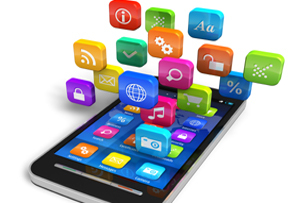 These applications are either pre-installed on phones during manufacture, or downloaded by customers from app stores and other mobile software distribution platforms. HGS Technologies, we have developed software for the mobile web and applications for mobile devices. As it is well known, mobile software can be developed by using different platforms and programming languages based on the type of mobile device the software is being developed for. Different mobile devices use different hardware components; therefore, we develop mobile software / applications using different software architectures. We have developed mobile, hand-held software for vehicle / fleet management, directory listing, video streaming and tracking.